IWC announced this week a smartstrap called IWC Connect. The device includes activitity monitoring and the ability to connect to smartphones and other devices, and is intended to combat smartwatches like Apple Watch. The company said in a statement, "The idea behind this new innovation is to enable owners of IWC timepieces to control their connected environment directly from the wrist while also maintaining the integrity of a handcrafted mechanical timepiece." The company hasn't announced specifics, including a release date, pricing, or even specific features. 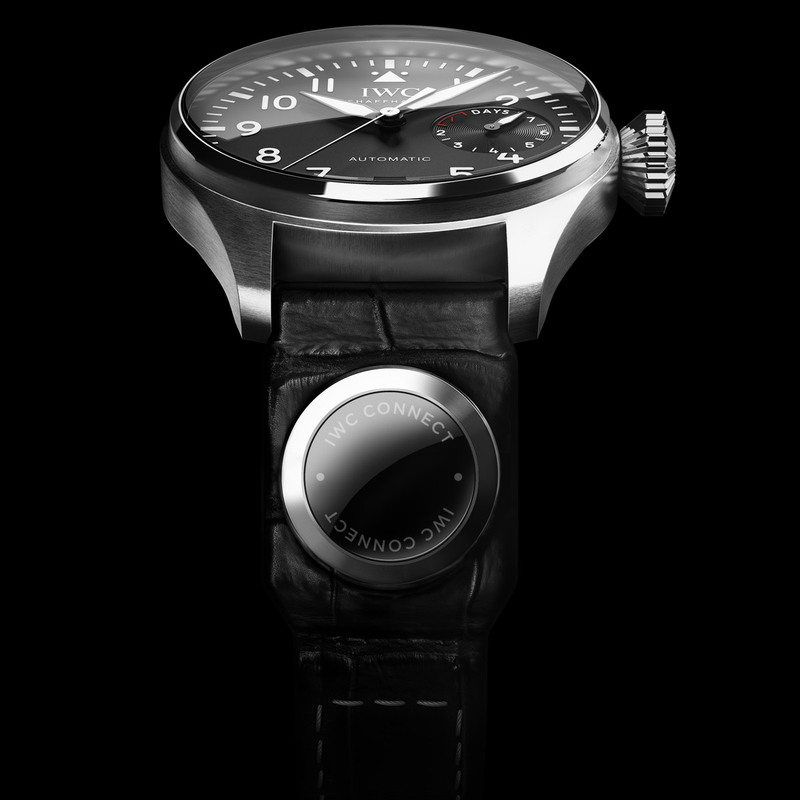 A Blog to Watch, however, noted that it will be initially available in IWC's Big Pilot's watch collection. IWC is well known for pilot watches. IWC is the second major Swiss watchmaker to announce a smartstrap in the wake of the Apple Watch. Montblanc announced the eStrap in January. For Swiss watchmakers, the challenge is to keep up with the times without abandoning legacy mechanical watches, which is their stock in trade. Smartwatches have been a dud so far, but Apple Watch appears to be in the process of changing that. The device has been a hit and is winning mostly warm reviews. But Switzerland can't beat—or even compete—with Apple by making its own smartwatches. Smartstraps, on the other hand, are a way for companies to keep their feet planted in both the old and the new. We are in the early days of smartstraps, just as we are with smartwatches. Switzerland may not have the computing experience of, say, Apple, but it does know the wrist. Companies like IWC, Montblanc, Zenity, Omega, Rolex, Patek Philippe, and a host of others could partner with a variety of technology companies to make smartstraps that are stylish, useful, and well-made. Doing so will help them remain legacy in the age of wearable computing.